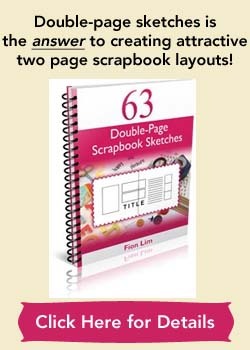 Learning how to create a scrapbooking layout? This short video will show you step-by-step to creating a page so you can do it too. June Campbell has put together this less than 8 minutes video to show beginners how to construct a scrapbook layout, from start to finish. You won’t be left wondering what to do. Instead, she will show you exactly what to do. It’s like peeking over her shoulders to see how to create a page from scratch. What’s even better is that this layout is simple in design, requires minimum scrapbook supplies, and yet looks attractive. If you’ve never scrapbooked before, don’t miss out on watching this great video tutorial! After watching the video, be sure to check out the many free resources on this site that’s designed especially for beginners in mind. 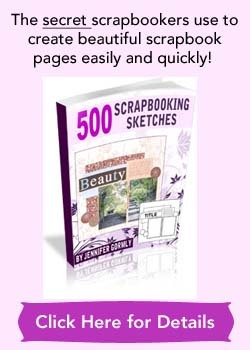 From tips, ideas, techniques to sketches, you’ll have more than enough information and inspiration to get you scrapping good. For a quick video that highlights the basic information, scrapbook supplies needed, and essential tips that a beginner scrapbooker should know when creating a page, check out this scrapbooking information video.